For those who want to get the maximum performance out of their WiFi network, mesh WiFi routers are a must. Using advanced technology, they provide far superior coverage compared to a standard router. Linking two or more nodes together, they can eliminate blackspots throughout your home without having to set up separate networks like regular WiFi boosters do. What’s more, they’re so much faster, letting you take full advantage of modern superfast broadband speeds. Thanks to that extra power, they can support more devices without slowing down. In short, they are perfect for both casual web users and serious streamers and gamers alike. However, as with any new technology, there are plenty of brands looking to get in on the action. Search for mesh wifi networks, and you’ll find yourself overwhelmed by the amount of choice out there. But just how do you know which ones are up to standard? Luckily, liGo are here to help. We’ve put together the following list of our top picks for mesh wifi routers, so that you can shop with confidence. Read on to discover the benefits of each one, and see which is the right choice for you. If you’re looking for the most cost-effective mesh WiFi router, then the D-Link Covr-C1203 is the perfect choice. Providing up to 1.2Gbps of performance on a dual-band connection, it’s a serious step up from a conventional router. In terms of spec, it’s a cut above similarly priced models like Google WiFi, which we found to be slightly slower in comparison. More significantly, the additional nodes- which D-Link call “Cover Points”- each provide excellent speeds and coverage. In practise, we found that each one offered similar speeds to the main router. 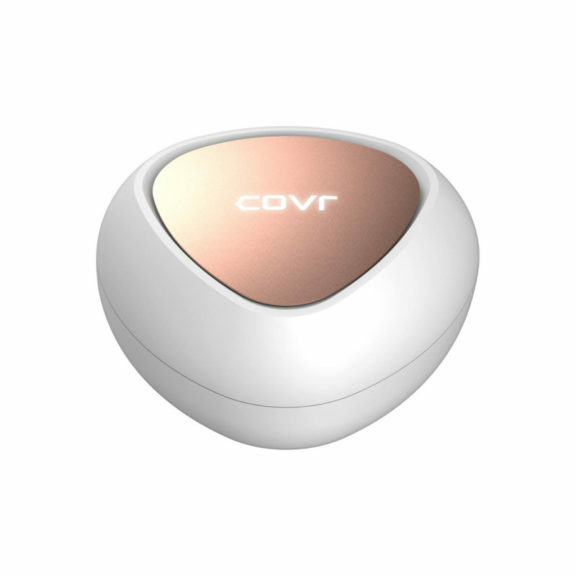 That makes the Covr ideal for homes where the current WiFi coverage is patchy. Instead of putting up with blackspots, you can enjoy a strong connection across your entire home. The D-Link Covr offers more than just great functionality, too. It’s also a beautifully designed piece of technology, unlike most mesh WiFi units that tend to be plain white boxes. The neat triangular design is set off by colourful cover plates, which you can mix and match to best suit your home decor. It’s refreshing to see D-Link try something different, and this ultra-modern design approach has really paid off. Stylish and functional, we can’t recommend the Covr highly enough. BT have gradually shifted their focus from cordless phones to networking devices over the last few years. Since they already have an enormous customer base and reputation, it should come as no surprise that the BT Whole Home WiFi is the most popular mesh WiFi router in the UK. While it trails slightly behind the D-Link Covr in terms of performance, it’s still a decent product that offers great speeds and coverage for a reasonable price. Like the Covr, BT have taken their own unique approach to design here. Instead of a box-like construction, each BT Whole Home WiFi node is shaped like a disc. Thanks to the included stand, they have a remarkably small footprint. That means you can place them just about anywhere, without taking up too much space. You can even put them up on the wall, as each comes with keyhole mounts on the back. Where the BT Whole Home WiFi truly excels, though, is in its parental controls and security features. Everything is controlled through BT’s own app, which is remarkably easy to use. With just a few clicks, you can decide which devices are given priority over power, and set up guest networks to keep your shared files private and secure. Parental controls are equally simple to set up, giving you complete control over how much time your kids spend online. Lastly, this mesh router comes with some impressive security features included, keeping your network safe and secure from hackers. 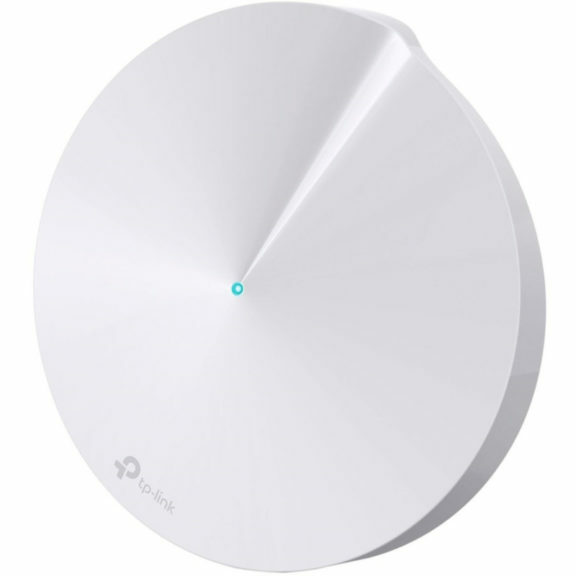 The TP-Link Deco M9 is a step up from the previous two mesh WiFi routers, both in performance and price. As with most tech, though, you do get what you pay for. Using tri-band technology, it offers best-in-class speeds and coverage. That makes it ideal for larger homes where other mesh routers might not cut it. It also means the Deco M9 is ideal for business use, since all your staff can connect to the same network without draining the overall speed. What is tri-band? Well, the reason why mesh wifi is so fast is because it uses multiple radio frequencies to communicate with devices. With dual-band, though, some of the power is eaten up by the nodes communicating with each other. Tri-band uses a standalone band to do this, leaving the other two free to provide full power to connected devices. If you have a lot of devices connected at once, then you’ll immediately notice the boost that tri-band brings. You can stream in 4K in one room while someone is gaming elsewhere, and neither of you will experience any slow-down. The Deco M9 offers more than just extra power, though. It also acts as a hub for all your smart home tech, too. Within the TP-Link app, you can control things like smart lights and thermostats and even set them up to work together automatically. For instance, you could set your living room lights to switch on when you turn on the hall light. Admittedly, the smart home feature won’t benefit everyone. However, for those who already use this type of technology in their home, there’s a lot to dig into. The tri-band signal also helps here, since it means you can have smart devices connected up to the internet without slowing down your tablet or TV. In general, mesh WiFi routers will make an enormous impact on your home network. Instead of putting up with irritating blackspots and endless buffering, you can enjoy fast, stable speeds across your whole home. Each of the above routers offers something slightly different from the others. 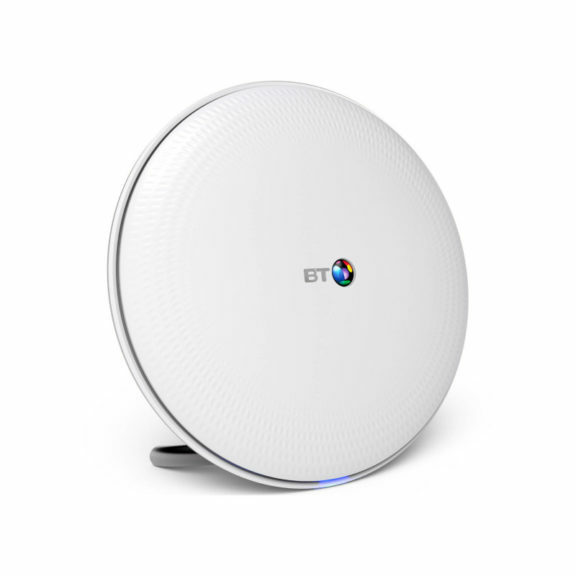 For the casual user, the BT Whole Home WiFi gives you everything you need in an easy-to-use package. If you need some extra speed and power, then the tri-band Deco M9 is a significant step-up. For our money, though, the D-Link Covr-C1203 is the best choice. Not only does it look great, but it also offers excellent speeds at fantastic value for money. Read the full specs and customer reviews here. This entry was posted in WiFi on 29/11/2018 by Daniel.